(Arutz Sheva) Increasingly, the battle for Israel is being waged on the Internet. The Jewish Internet Defense Force (JIDF) is an independent, web-based pro-Israel advocacy organization that has been in operation since May 2008. 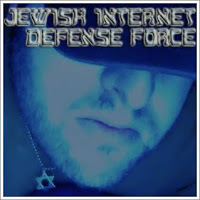 The JIDF provides news about Israel and the Jewish world, as well as information about online content that supports Islamic terrorism and anti-Semitism. The organization relays its information primarily through Facebook, YouTube, Twitter, Myspace, Digg, and other online social networks. Israel National News spoke with JIDF founder, David Appletree. "The main reason the JIDF exists is to promote Israel and fight Jew hatred as well as Islamic terrorist trends online,” says Appletree. “We are a grassroots organization that reaches the hearts and the minds of normal, everyday Jews and Israel supporters who haven't been bamboozled into supporting the Jewish establishment that has completely failed Israel and the Jewish people in every way imaginable." Appletree explains how even though the JIDF is not necessarily a success financially, it has been a successful grassroots effort for change, and represents a younger generation of Jewish leaders with a new approach to Jewish and Israel advocacy. "Unlike most advocacy organizations," he says, "we put the work before the fundraising. However, we remain the largest pro-Israel/Jewish advocacy online influence. While the AIPACs, Federations, J-Streets, ZOAs, ADLs, and No Israel Funds bring in a lot of money, none of them can compare to the JIDF when it comes to connecting people online in meaningful ways." The most pressing issue facing Israel today, according to Appletree, is the lack of authentic Jewish leadership. "We must demand leaders who say what they mean and mean what they say, and who fear G-d more than anything else – especially more than international pressure," he explains, "Also, there must be a serious paradigm shift. Jews in Israel, especially those on the Left, need to wake up to the basic facts about our enemies, who generally say what they mean and mean what they say." Moreover, Appletree believes that the peace process between Israel and the PA and how it is presented to the public is severely flawed, and only hurts Israel. "Both Fatah and Hamas officially call for the destruction of Israel," he relates, "Thus, all talk of 'peace' is absurd. The blaming of Jews or 'Jewish settlers' for the lack of peace must also cease. Building Jewish homes and expanding the Land is actually one of the few ways we can dampen the hopes of our enemies to destroy us. Each time we blame the Jews or 'Jewish settlers' for the lack of peace, we do ourselves and Israel a great disservice. The handing of PR victories to our enemies like this must cease – Jews building homes is hardly the issue here." On a global scale, Appletree believes that the most urgent problem facing Jews worldwide today is a lack of unity. "The complete fragmentation of the Jewish community both causes and leads to alienation, intermarriage and assimilation," says Appletree. The reason for this fragmentation, he says, is also due to, "the lack of authentic Jewish leadership." Appletree is especially concerned about the situation in Lebanon. "Olmert failed us in 2006", he relates, "Hezbollah declared victory, re-armed itself, and re-organized. They are more powerful now than they were before. That's what happens if you don't destroy Islamic terrorists when you have a chance." Appletree voices his fear of an impending war with Hezbollah as well as another war with Hamas in the near future. "I just have an intuitive sense that there will have to be another war very soon," he says, "since the job was not done in 2006. The same will have to happen with Hamas, eventually, since we didn't win during Cast Lead either. It seemed during Cast Lead that Israel was more concerned about the PR aspect than anything else. Despite all attempts to prove to the world that Israel is the most moral and ethical defensive force – something all Jews and people of good conscience should know is true – none of our enemies believe it, nor will believe it, no matter how many facts we provide." "When Israel decides to actually win a war again,it should be hundreds of years before anyone ever dreams of trying to take on the Jewish State again," Appletree adds. He believes that in order to ensure its survival, Israel needs to do whatever needs to be done, no matter what the world is going to think. "Israel should be ruthless so that its enemies literally run from us," he says. Appletree does not think that world opinion of Israel should prevent Israel from defending itself properly and effectively against its enemies. "You don't fight cancer with over-the-counter drugs," he says, "There's simply no need to try so hard to prove how nice we are, especially when the world perceives us as wrong no matter what we do. 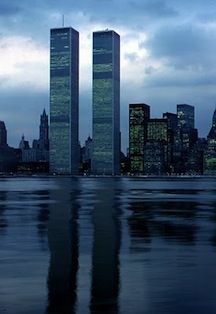 When we're actually ruthless against evil, I believe the world will eventually wake up to the favor we're doing it and will respect us again – much like it did after the Six-Day Miracle in '67."